The Grand Weekender, Weekender and Holdall are equipped with a unique design feature: The Haendel design-patented handles. The design is inspired by sports steering wheels already in use in the 60’s, where holes have been drilled out for lightness. The radius of the handle emulates that of the cover of a steering wheel and when gripping the handles together, the owner has the sensation of gripping a steering wheel. The handles align and stick together due to the placement of small magnets on the inside of the radius of the handles. The material used is aluminium light alloy, double strength powder coated in titanium grey. 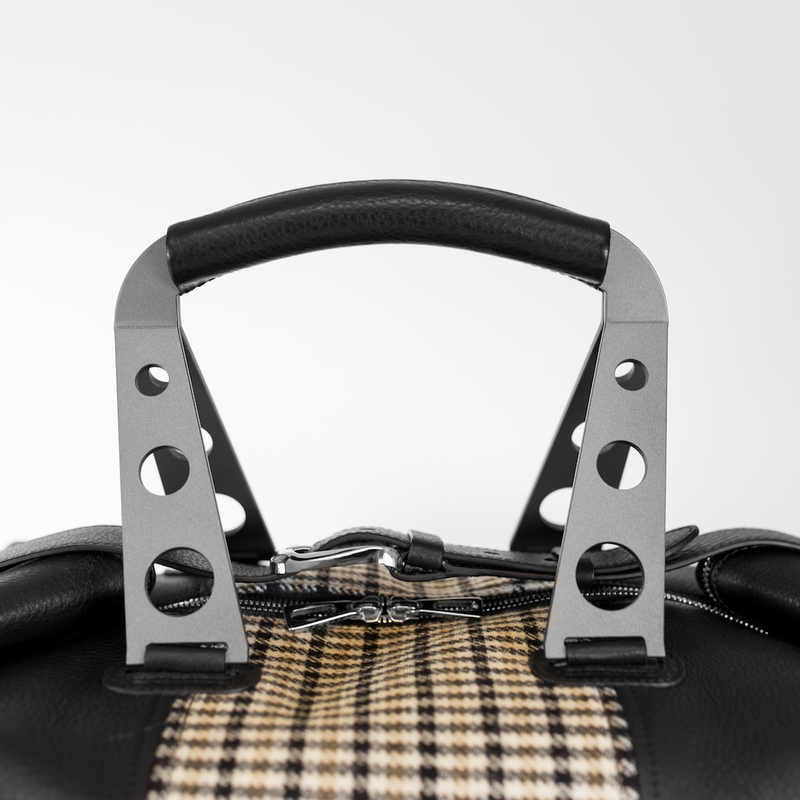 The handle design is unique in the market and sets the bag apart from other premium designs. 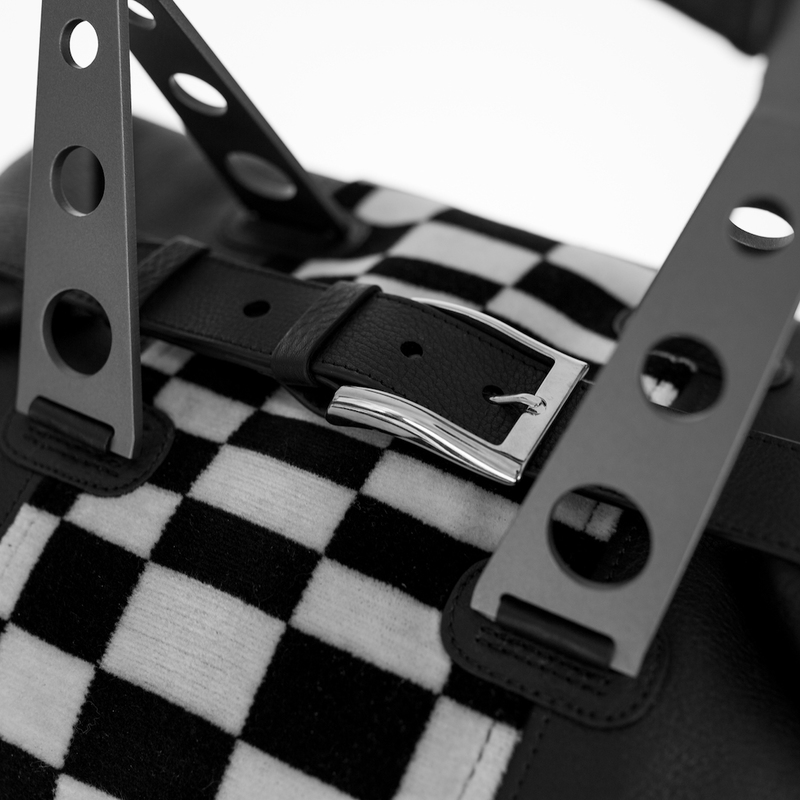 The Messenger bag has the three-hole pattern included in the carrying strap in the form of three silver rivets. 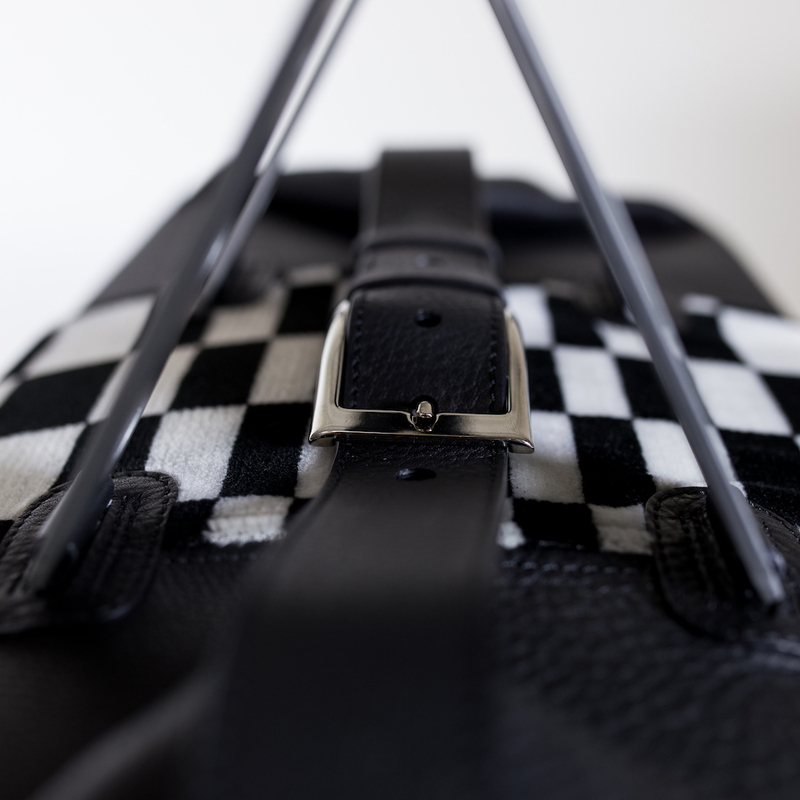 The Grand Weekender, Weekender are equipped with a bonnet strap to close the bag, covering the zipper. 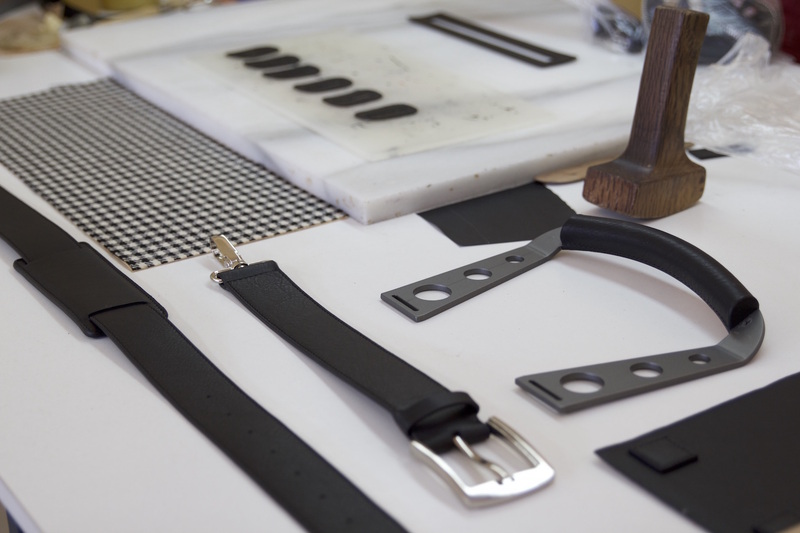 These style of bonnet straps were used on sports cars to secure the front lid in case of bumps in the track or on light collision. 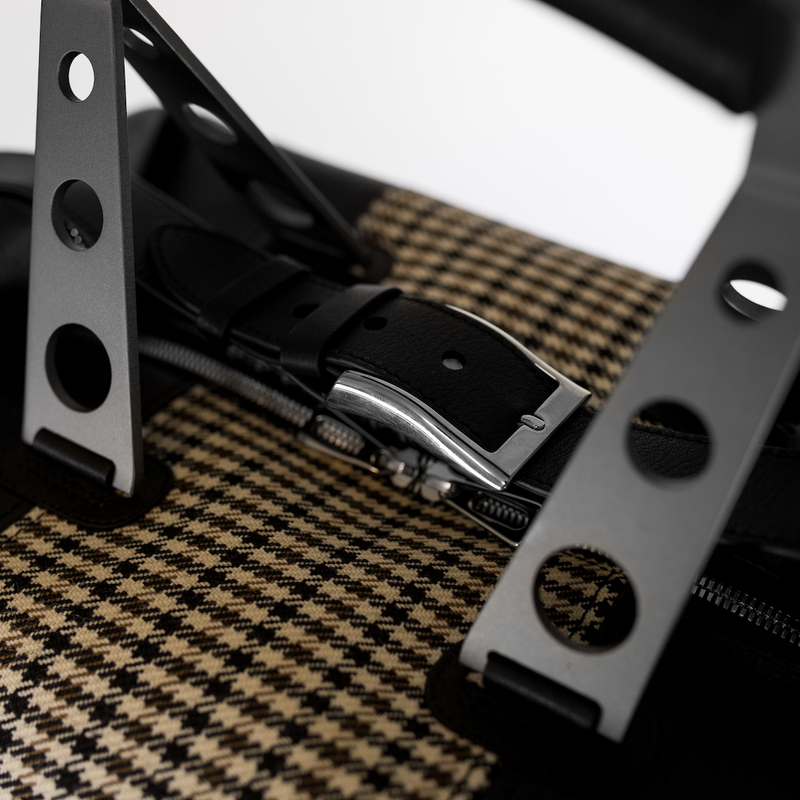 The Grand Weekender, Weekender, Holdall and Messenger are decorated with several types of seat center materials as used on the seats of, amongst others, early sports cars. 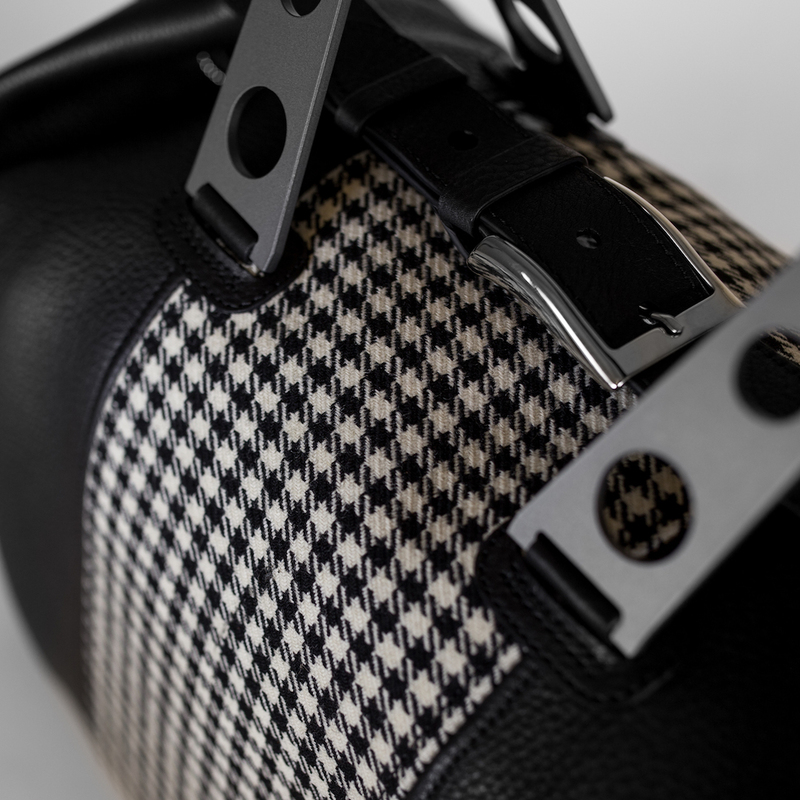 Ranging from perforated premium leather to houndstooth or pied de poule and Pascha patterns. 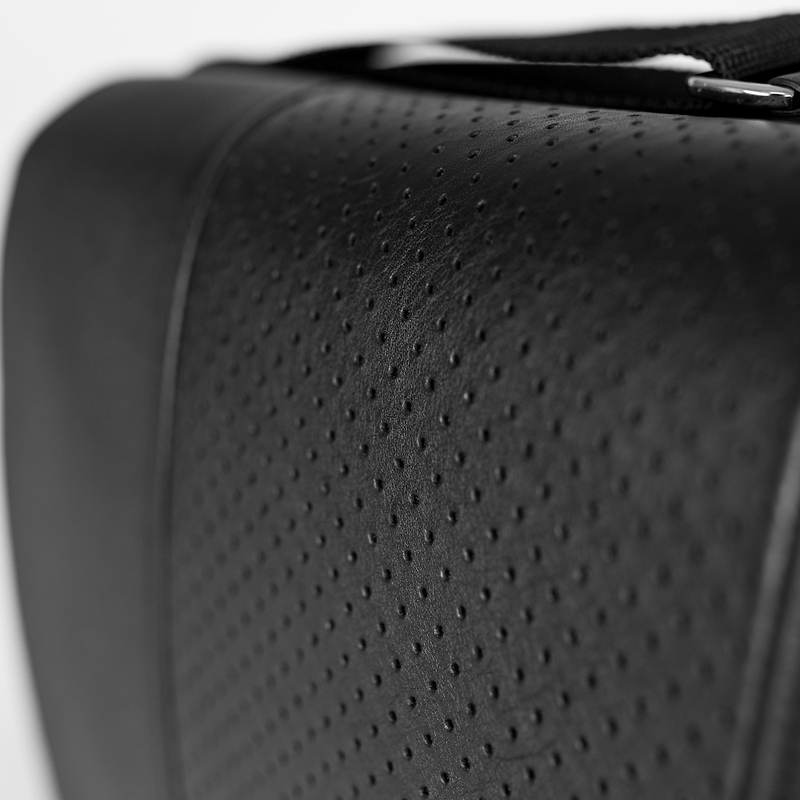 The bags evoke the impression of a car seat from the 60’s and 70’s. 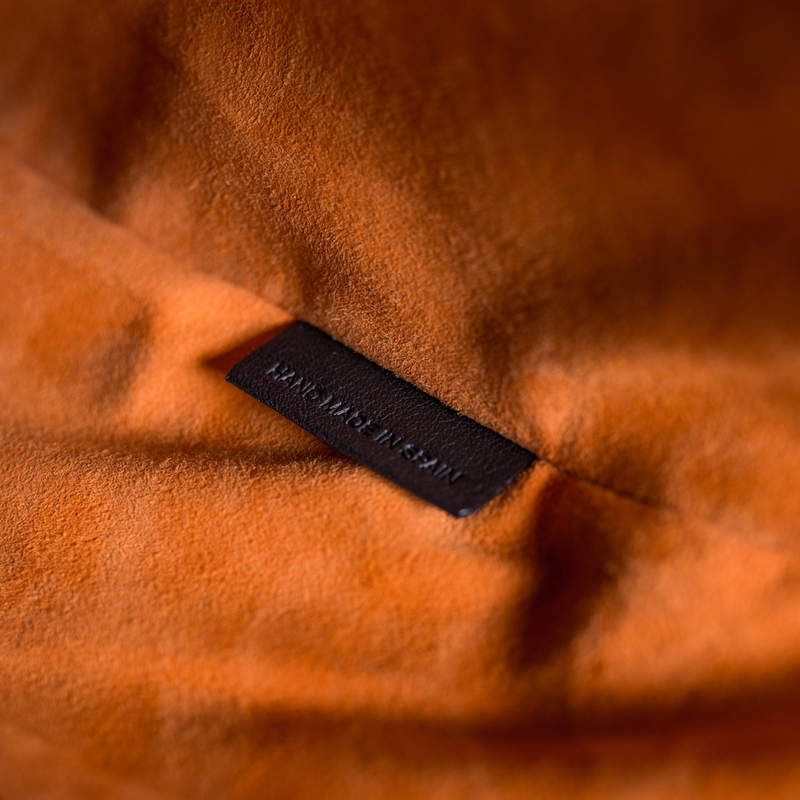 Each Haendel bag is lushly lined in orange nappa suede. 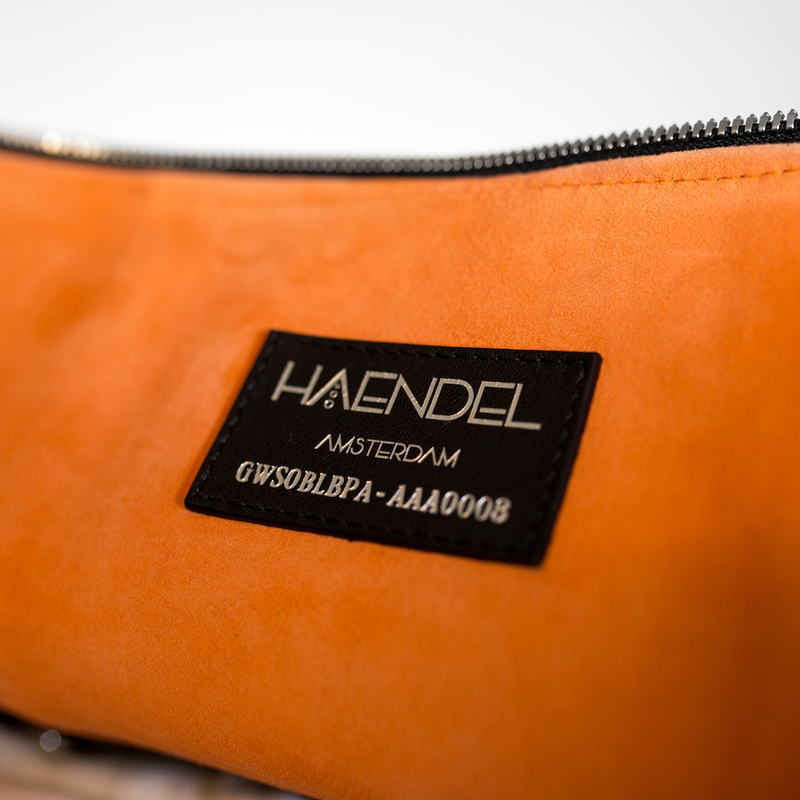 The orange colour was chosen to represent the Haendel brand values of Happiness, Freedom and Individuality. The colour orange is also the Dutch national (racing) colour and represents similar values present in the Dutch culture. Each Haendel bag is uniquely numbered by a combination of letters and numbers representing the type, version, batch and production sequence number. 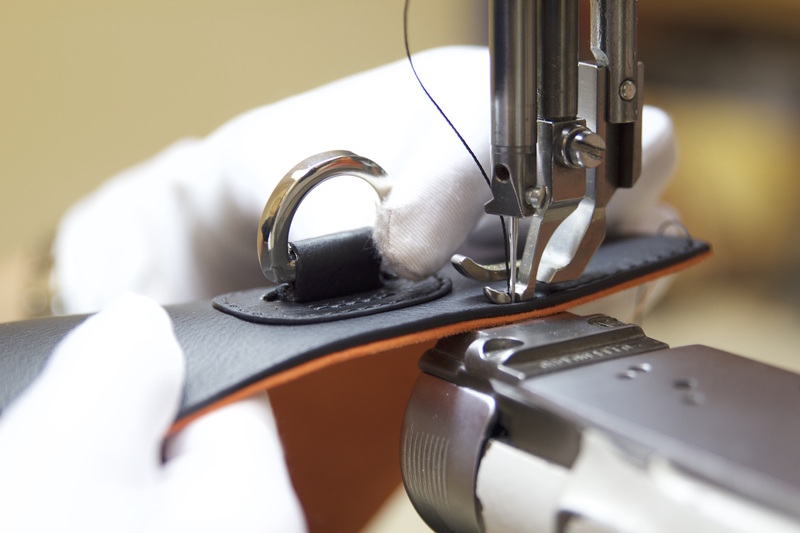 Haendel registers each bag to its owner upon purchase, facilitating both warranty and communication regarding new product offerings. 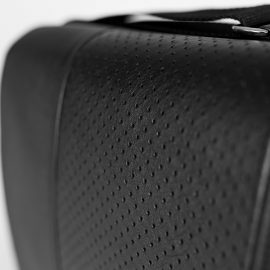 The number plate can be found on the inside of the bag, above the passport pocket. Haendel believes that if you appreciate the finest things in life, you should only accept the best quality products. 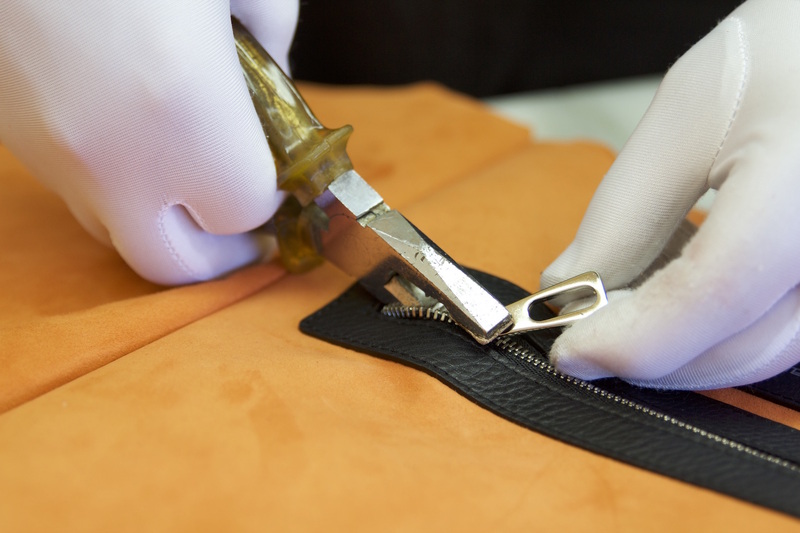 Haendel products have been made by hand in Spain by a manufacturer which has served the premium leather goods brands for decades. 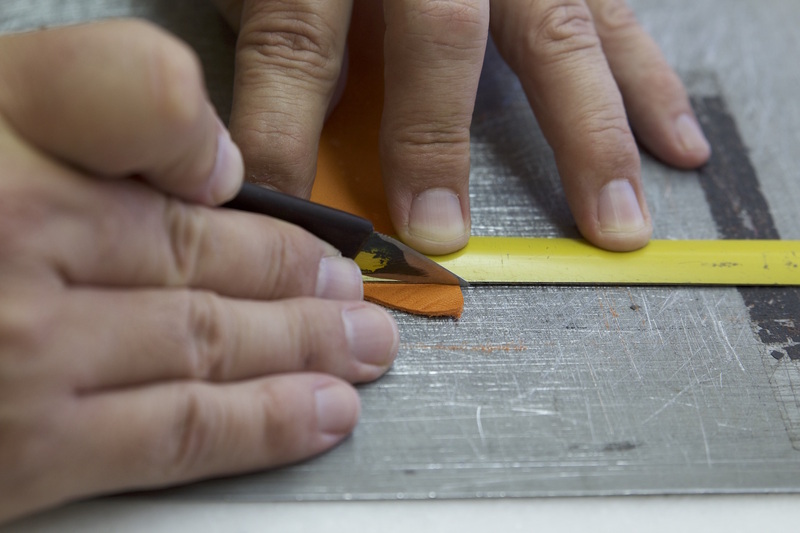 The Manufacturer takes pride in its artisanal methods and skills and actively educates new workers in their unique skill and methods. The unique Haendel handle design has been produced by a precision instrument engineer, specializing in the most exacting methods and treatments of metal.